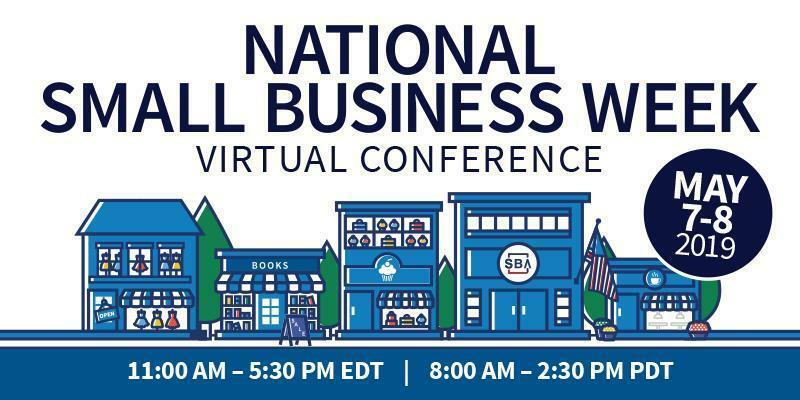 WASHINGTON, April 11, 2019 /PRNewswire/ -- SCORE , the nation's largest network of volunteer, expert business mentors, is co-hosting the second annual National Small Business Week Virtual Conference with the U.S. Small Business Administration on May 7 and 8. Webinar recordings will be available after the conference on SCORE's website, and the virtual environment will be archived for future access by registered attendees. "We are pleased to partner again with the SBA on this valuable educational event for entrepreneurs," says SCORE CEO Ken Yancey. "We are proud to provide expert business information in a free, convenient format. The resources available through this conference will help small business owners grow and achieve their goals." "That was the best virtual conference I have ever attended. It was amazing, almost like going to [an in-person] conference. Minus the hassle of travel and staying at a hotel!" Since 1964, SCORE has helped more than 11 million aspiring entrepreneurs. Each year, SCORE's 11,000 volunteer business experts provide free small business mentoring sessions, workshops and educational services to clients in 300 chapters nationwide. In 2018, SCORE volunteers helped to create 32,387 new businesses and 103,300 non-owner jobs. Visit us at www.score.org and follow @SCOREMentors on Facebook , Instagram and Twitter for the latest small business news and updates.